Volunteer with the Blue World Institute ! 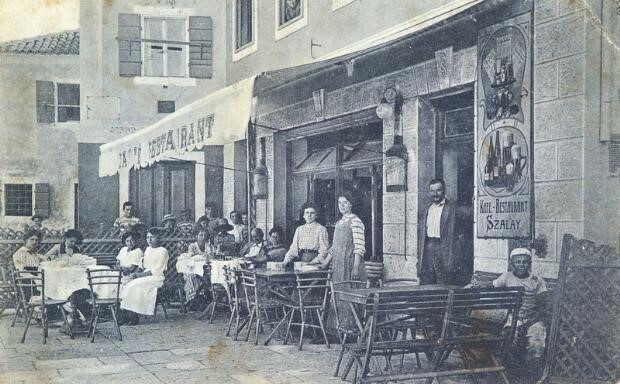 In the early 20th century, Stefan Szalay of Esztergom, Hungary, a carpenter by profession, came to Veli Lošinj with his wife Ana, who was originally from Graz, and opened the first hotel-restaurant in a street that has until recently been referred to as Szalay Street among older residents. Between the two World Wars, the Tarabocchia family operated Caffe Concordia in the former Restaurant Szalay, known for its cappuccino and Dreher beer. Monday - Saturday: 8 a.m. - 8 p.m.
To facilitate the use of our web pages, we are using "cookies". A cookie is a text file stored on your computer by the website you are visiting. Cookies usually store your data for the website, such as your preferred language or address. You can adjust your cookie settings in your browser and you can also choose to block them.